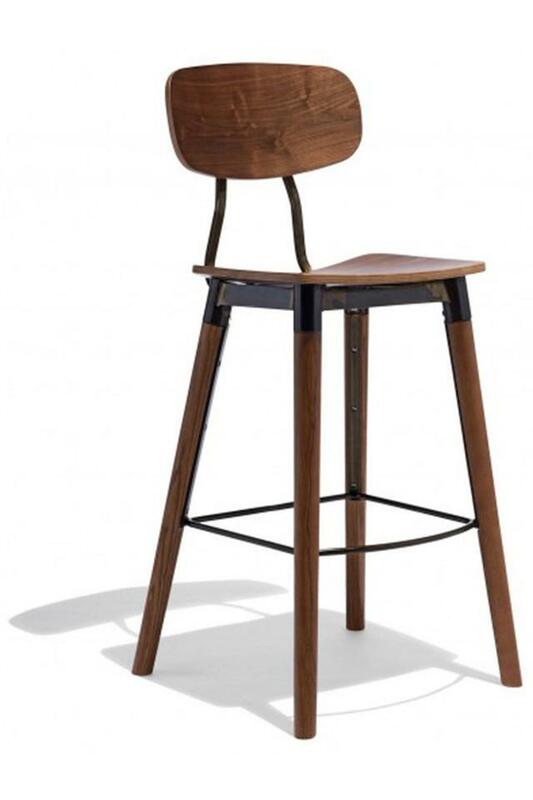 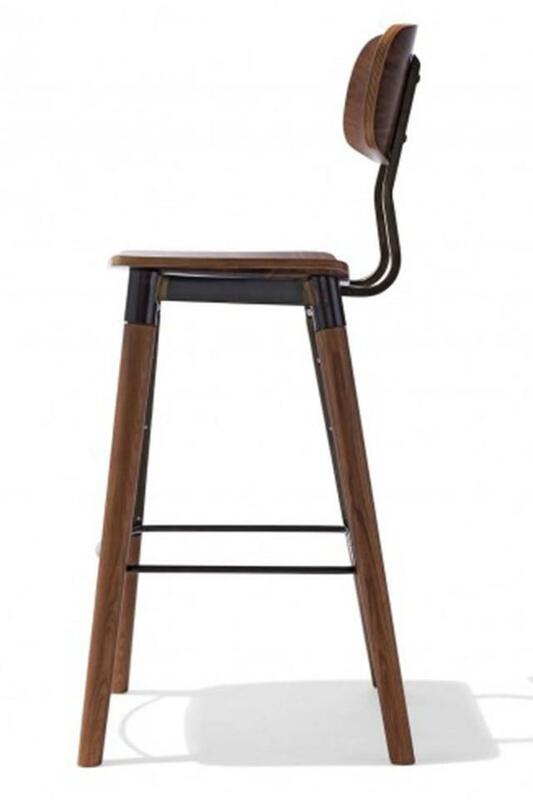 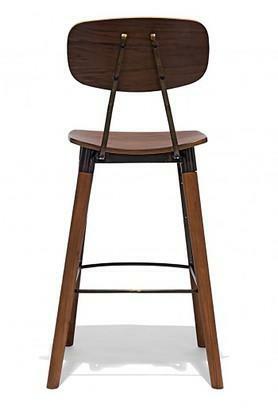 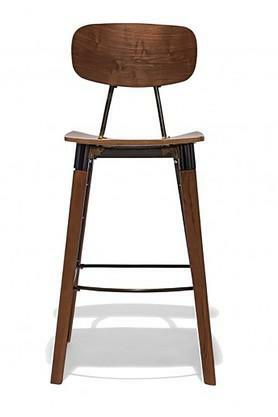 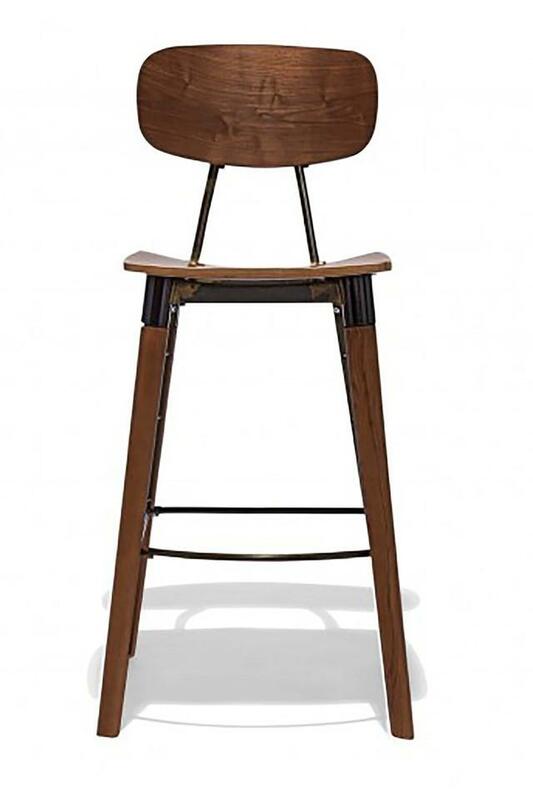 The bar chair is contemporary design crafted using Scandinavian mid-century design language. Features finely shaped deep walnut colored wood in seating surfaces. Seat height - 30'' from ground. 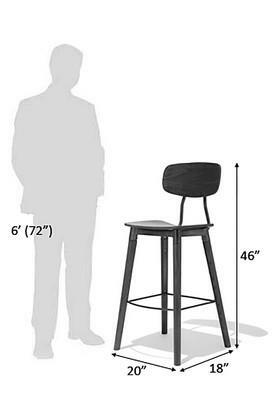 Seat dimensions - 17.5 wide x 15 inch deep x 0.5 inch high, Base - 20 inch wide x 19 inch (bottom of the legs).